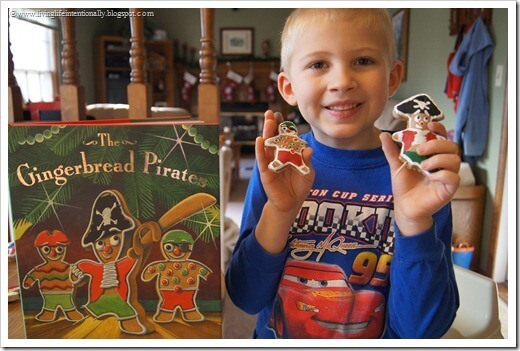 Here is a super cute Christmas Craft for Kids based on one of our favorite Christmas books – The Gingerbread Pirates. Believe it or not my kids were begging to do ‘preschool’ the week before Christmas. So even though I hadn’t planned anything I whipped something up. . . . 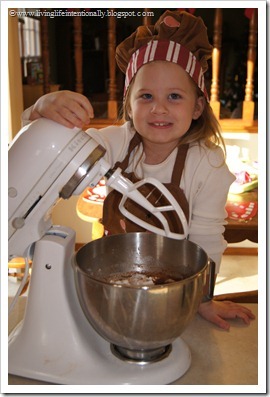 Mix all ingredients in a mixer. No need to add flour on the counter to roll out! 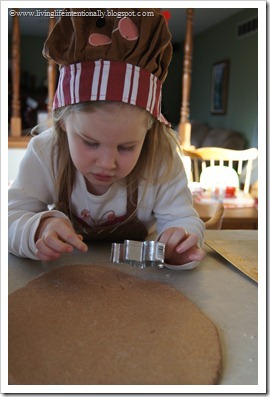 Roll & make gingerbread men. Cook at 300 F for 1 hour. Immediately remove from cookie sheet and allow to cool thoroughly before painting or covering in lacquer. 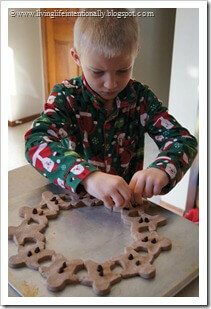 We made Gingerbread pirates using our gingerbread cookie cutter. Some had missing legs, just like in the book. Then we made the Captain by adding a hat, cutting off one of his legs and adding a toothpick for a peg leg. 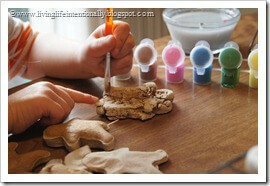 When they were cooked and cooled the kids painted their Gingerbread pirates with regular paint. We let them dry and then it was time to play with our Gingerbread Pirates. These were a HUGE hit in our house! 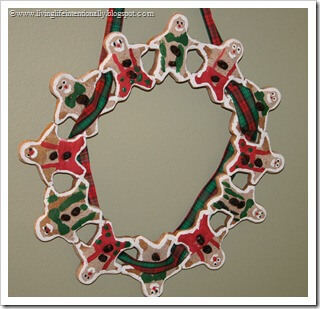 We also made a gingerbread men wreath with our leftover dough. 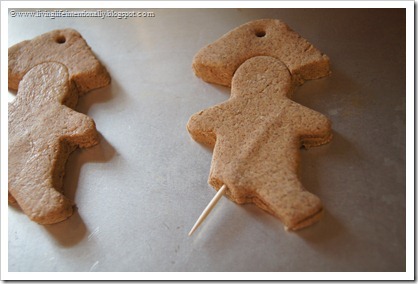 We pinched the gingerbread men together with a little water, pressed in a raisin buttons and baked. 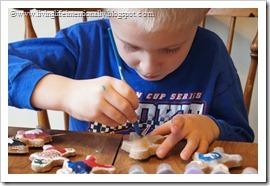 Then we painted the gingerbread men. It was super easy & turned out so cute! 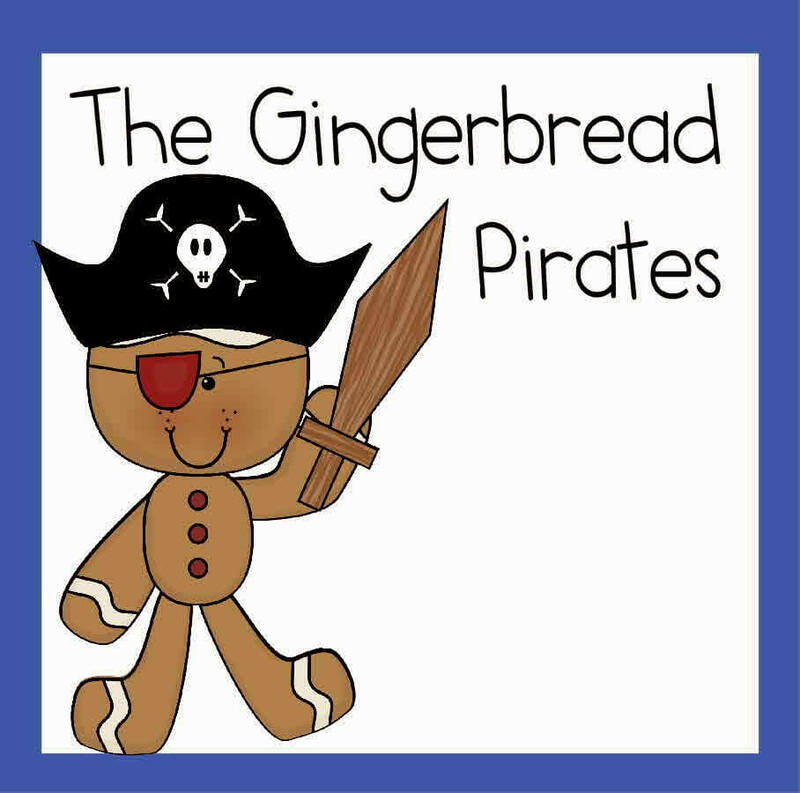 We finished out our learning this week using the Free printable Gingerbread Pirate Worksheets for Kids (Preschool-3rd grade).